Winter season is coming, and it’s also the easiest season for you catch a cold. Common cold is very common disease that everyone could easily get it no matter who and no matter when or season, but we most likely to more frequent of common cold cases during winter season. Common cold is a viral infection disease. Children and older age populations are most at risk. Common cold is most likely harmless or fatal disease even it is viral infection , but it will cause you come uncomfortable feelings such as fever, runny nose, soar throat, sneezing, watery eyes and cough . Most of the common cold cases will disappear itself with 7 days or some cases could longer due to your health conditions. 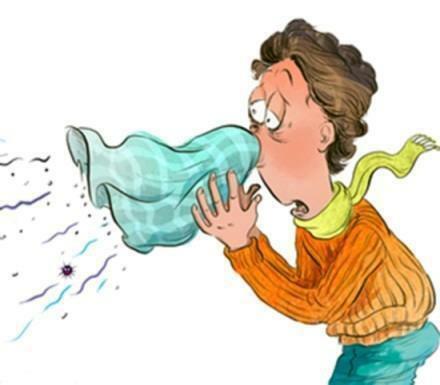 What to do when you catch common cold? 1. Drink lots of fluids: Fluids including pure water, coconut juice, fruit juices or any kind of vegetable mixed juices. These fluids would help us to prevent from keep loosing during mucus production as well as fever. Caffeine and alcohol should be avoid because it could increase the dehydration . 2. Get some rest: In condition of bad coughing, or fever, you should take some rest at home or take some leave from your work and get yourself some rest. This could help prevent from spreading the viruses and also get yourself to gain some energy to fight against viruses . 3. Exercises: Doing some exercise could also help to reduce the fever and boost your immune system as well, but DO NOT over do, it will harm yourself in contrast. 4. Soar throat problem solve: To solve soar throat you can either use fresh lemon juice or saltwater gargle. Dissolve 1/4 to 1/2 teaspoon of salt with 230ml of warm water and drink it . 5. Try chicken soup: Myo Clinic recommended common cold patients try chicken soup in order to boost up their immune system cells to fight against inflammation or viruses. What kind of medicine should you take? 1. Pain reliever drugs: You can take pain reliever drugs or medicines such as paracetamol, Advil, Panadol, ibuprofen or Tylenol or any other pain relievers when you have severe headache, or fever. Ask your pharmacists or physicians for more information about those medicines/drugs. 2. Nasal spray: When you have runny nose, you can use some of nasal spray products, but adults should not use more than few days because prolonged use can cause chronic rebound inflammation of mucous membranes. And children shouldn’t use decongestant drops or sprays at all. 3. Cough syrups: If you have severe cough symptoms you can use cough syrups. There are so many kind of cough syrups out there in the pharmacies. Ask your pharmacists or physicians for more information about cough syrups. 4. Vitamin C: Taking vitamin C could potentially shorten the during of common cold, but vitamin C itself could not prevent you from common cold . Visit your doctors if the symptoms won’t disappears within a week or longer or if you have severe symptoms. “…… Dengue vaccine will be available sooner next year or a yea after next year, new guideline of Hepatitis B treatment.” Pneumococcal and RVGE disease become the most attractive topics. Most of Cambodian parents think that, they provide food, money to their children and they done they every work with their children. DO you know, there is still something that you need to care and provide to your children to ensure that they are safe. Protect your child it doesn’t mean that your just told your bodyguard to taking a care of your children’s safety then. it is more than that. Love your children, protect them from both out-and-in-side of their body. Together to give children peacefully, worryless of harm by give them vaccinated against World number 1 killer, Pneumonia. ASK YOUR DOCTORS FOR MORE DETAIL/INFORMATION ABOUT PROTECTING YOUR CHILDREN AS SOON AS POSSIBLE.